Ival Ilyich death comes to his few friends as not so much a surprise but a formality. His closest friend attends his funeral. From there, the story slowly trots through Ilyich's life and explores his less-than-inspiration evolution into a judge and family man. Around the time that he hits his peak, he comes down with a ceaseless pain that is ultimately the death of him. However, it is through this pain that he comes to realize he has never really been happy since childhood and that his life choices were wasteful ones. As the point at which he fully accepts this, is also the point at which he dies. So this may have been a novella--not a short story and I'm not sure the different (besides word count--and even that appears arbitrary). 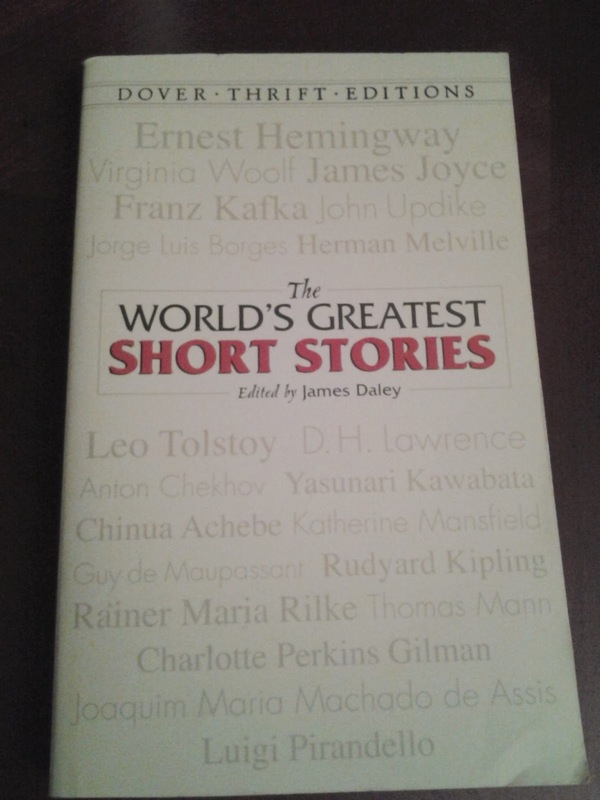 However, it was in the anthology of short stories so I felt inclined. The story was a big a drag for much of it. Ilyich's choices (when they were choices) were clearly down paths of unfulfillment but I don't know that we ever are given a strong internal experience with which to understand empathize with Ilych. The realization of his life as a lie and the correspondence of pain that he feels seems to be the physical manifestation of the lie's profound effect on him. Of course, many can grasp this in their own lives but I didn't quite feel so attached to Ilyich that I found myself cheering for him to be saved.